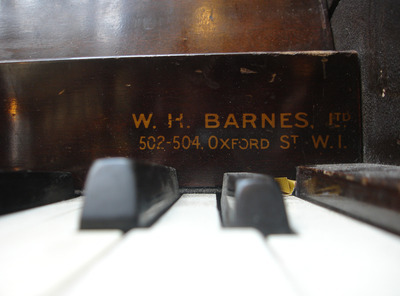 A nice looking albeit slightly battered W H Barnes of Oxford Street upright. 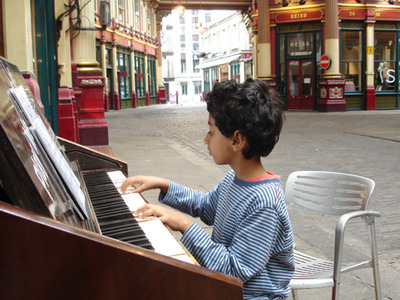 Really nice acoustic location in Leadenhall market. Loved this idea! Great atmosphere, people just come along and listen and chat., and sing! I was here last Wednesday, raining but this piano is in a great waterproof location! How lovely. Please can you do this again next year?! Very quiet on a Saturday afternoon; must be busy during the week. Two keys were completely broken.